TeslaCEO Elon Musk engaged in a testy Twitter exchange Monday evening with a reporter over a story about a manufacturing shakeup on its Model 3 sedan. Shares of the automaker rose 1.4% in early trading Tuesday. The company’s book value has declined by $US33.7 billion in six weeks amid a string of bad news. 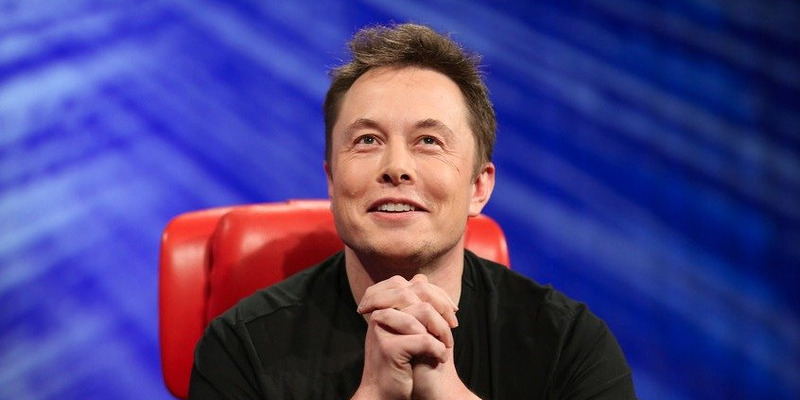 Watch Tesla’s stock price move in real time here. 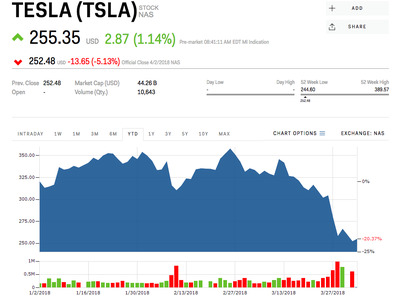 Shares of Tesla rose as much as 1.3% in early trading Tuesday after CEO Elon Musk engaged in a testy Twitter exchange with a reporter over a story about a manufacturing shakeup at the electric automaker. 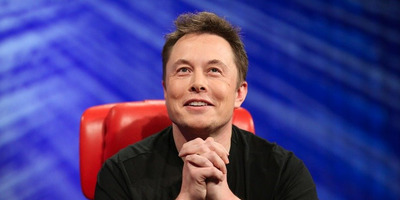 The report, by Amir Efrati for tech news site The Information on Monday, cited unnamed sources saying Musk himself had jumped in to directly manage Model 3 production as it struggles to meet targets for the mass-market sedan. The story also said Musk had relieved senior vice president of engineering, Doug Fields, previously of Apple, of some responsibilities in order to directly oversee production himself. Tesla confirmed to Business Insider’s Matt DeBord on Monday that Fields, who came to Tesla in 2013 after working at Apple, was still with the company. A leaked internal memo obtained by Jalopnik on Monday said Tesla will again fall short of its expected quarterly production numbers, which could be released as soon as Tuesday. 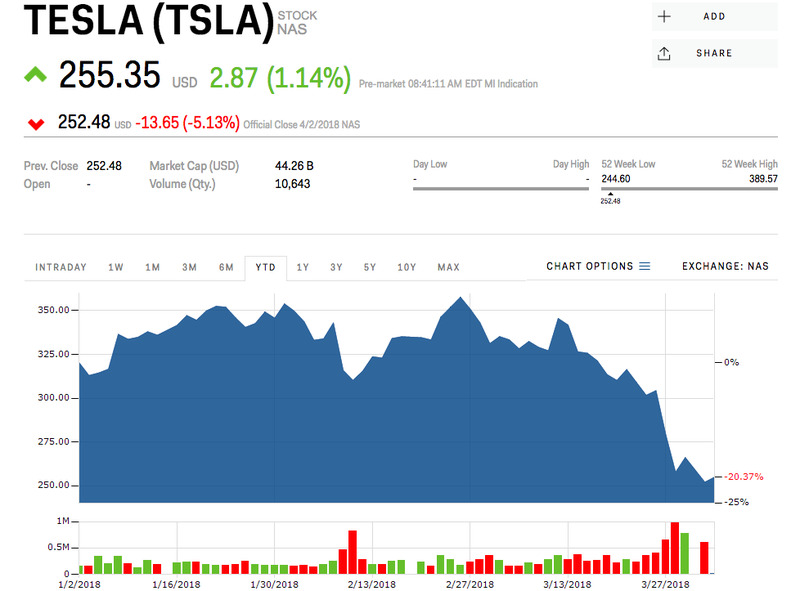 Shares of Tesla have declined by 30% since late February amid plunging bond prices, reports of recurring production issues, and a fatal autopilot crash in California that have left investors uneasy.